then you’ll like this one. This movie is not about how Kemp overcomes these “Bas***ds”, that’s how Kemp describes them Bas***ds, but shows you how these “Bas***ds” take advantage of the people and become filthy rich in the process. This movie shows us that “you either die a nice guy or live long enough to sell out!” and “nice guys finish last…” Like I said this movie is not for the faint of heart. This movie showcases everything wrong in this world. 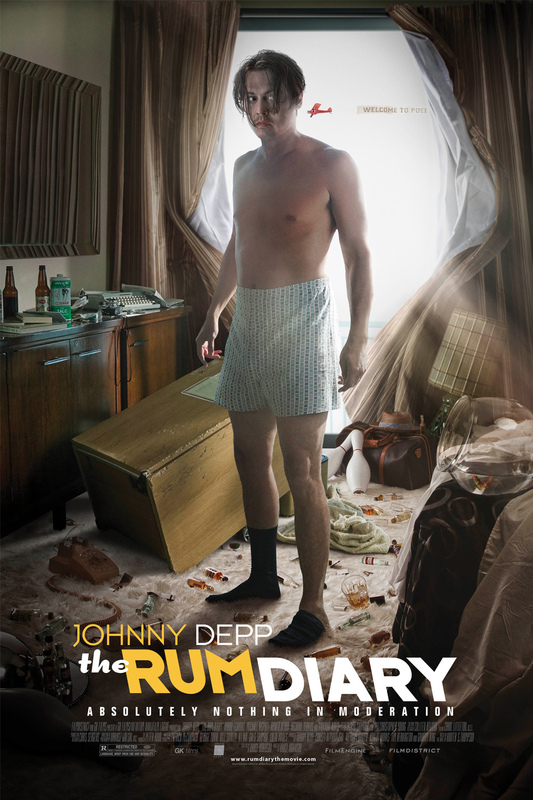 Depp give a good performance as usual, Aaron Eckhart and Giovanni Ribisi are in this movie… Giovanni Ribisi is a good actor, what can I say the guy grows on you. Giovanni Ribisi has come a long way from being Phoebe Buffay’s half brother in F.R.I.E.N.D.S to getting rolls in major films like Avatar… got a bit carried away there. The base story is like I said before it’s about how the ‘man’ takes advantage of the people… and there are some small stories weaved into it… like the love between Kemp and Sanderson’s (Aaron Eckhart) fiancée Chenault (Amber Heard), and how Kemp tries to get back at these “Bas***ds” and there is a lot of alcohol and drugs involved. As for the movie… like I said before, if you’re like me… then you should watch the movie.